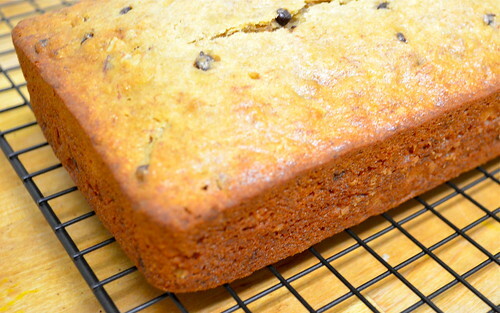 The walnuts and chocolate chips are totally optional, but then again: seriously? They're what make this loaf: so go nuts. You know, literally. Preheat the oven to 350 degrees. 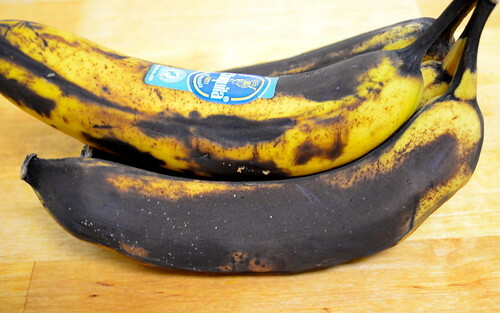 Using a fork or a potato masher, have at the ripe bananas until nearly liquified. Whether or not you leave any chunks is a matter of personal preference. In a small bowl, contained the softened butter and sugar. Add your eggs and bananas and set aside. In a larger bowl, combine your dry ingredients and spices. Add your wet ingredients and fold together. 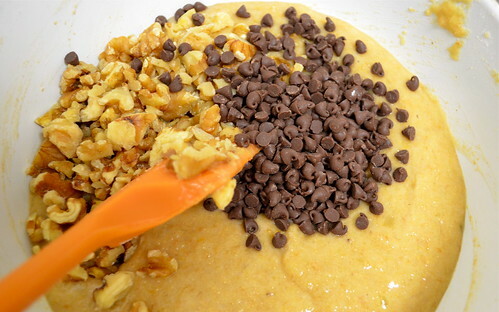 Once combined, fold in your walnuts and chocolate chips. Pour your batter into a well-greased loaf pan and bake for 40-50 minutes, or until the edges are slightly browned and a toothpick comes out clean. This bread is perfect right out of the oven, but keeps well in a sealed bag for up to a week. 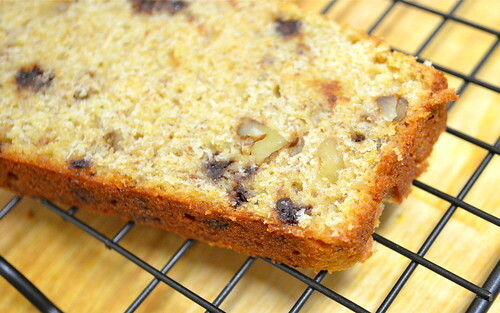 Perfect for breakfast, with coffee, topped with a little peanut butter (whaaat) or as is.